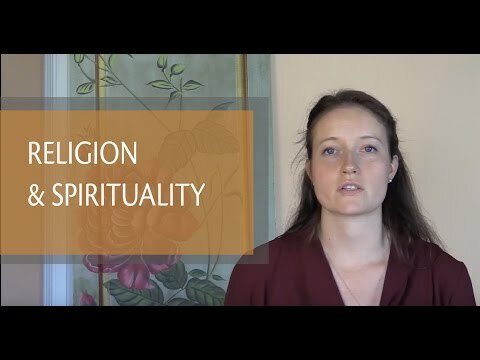 For centuries, people have tended to conflate the terms “spirituality” and “religion” without drawing distinctions between the actual core realities associated with each. You’ve probably heard someone say: “… spiritual, religious… whatever…” But within that province of ‘whatever’ may lie a world of difference. 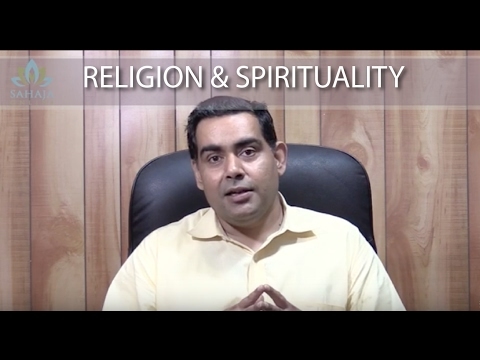 In reality, while sharing some overlap, spirituality and religion can be quite different from each other. One can be religious, yet not be spiritual (connected to the divine energy that created the universe). And one can be spiritual without being religious (devoted to a specific doctrine, set of beliefs or rituals). Hopefully, the following comparison will offer some enlightenment (pun intended) on this much misunderstood topic. An individual, personal quest — pursuit of the higher, universal power. While the goal of all or most religions may be the same or similar, the religions themselves may not be customizable, tailored to an individual pursuit through which one can explore, experiment and realize tangible benefits. Spirituality offers basic guides and techniques for discovering your Inner Self, but the practice of it is not bound by rules, structures or any hierarchy. You are your own master and have complete freedom to experiment, put your faiths and beliefs to the test, and evaluate outcomes. Religions involve specific rules, beliefs, faiths, and structures, including a clerical hierarchy. Most also include some form of membership for which one must meet a set of requirements. Spirituality through Sahaja is actualized through Self-Realization and a tangible, real experience of the flow of the divine energy through your own subtle energy system. Such tangible Self-Realization is rare for religions to achieve, or at least, none that currently exist are known to provide it. Spirituality focuses on the formless divine power, a universal energy that you can tap into and direct-connect your own inner subtle energy system to. Most religions adopt external or outward representations or symbols of specific deities. These are man-made structures that have nothing to do with establishing a direct, tangible connection to the divine power. The mere ideas of spirituality and enlightenment amount to nothing if you cannot achieve qualitative improvements in personality and character. You’re probably way off-track, or even wasting your time, if your current pursuit of spirituality isn’t making you a better person, improving specific core traits and characteristics. While Sahaja offers techniques that may be repeated each time you meditate, they are not meant to be “rituals” that must be performed; rather, they’re guidelines that are shared because they’ve been found to work through decades of experimentation by practitioners. Most religions today place greater focus on means or methods such as rituals that you must perform. A precise correlation of the means-to-the-end goal of personality and character improvement is either very low or absent, or is at least most certainly not discernible on a day-to-day basis. Spirituality, at its core, must connect your inner self with the all-pervading power and universal consciousness, and provide tangible proof of this to you, every day, each time you meditate. It seems difficult to expect religions to be able to provide tangible proof of this cosmic connection on a day-to-day basis. If you know of any, please let us know. Spirituality is not amassing knowledge of the divine; rather, it is the practice of meditation and connecting yourself directly to the all-pervading power. True spirituality does not require a human intermediary, such as a priest, pastor, etc.. You’ll likely find many knowledgeable, well-read individuals in every religion, such as priests, pastors, or other highly respected individuals. But mere knowledge, or the ability to teach or preach a particular interpretation of religious beliefs to others does not equate to — or assure — a direct one-on-one connection with the divine power. True spiritual practices must not have commercial intent or be “for sale.” The spirit and the innate subtle energy system are found in all human beings, regardless of race, religion, socioeconomic status, age or gender. No one can own your inner spiritual energy, which you were granted innately at birth. Nor should spiritual practices create hierarchies or positions of power or “leadership” that anyone can pursue. Commercial intent amongst modern-day religions seems to be a mixed bag. Some seem to be constantly begging for contributions. Some seem to focus on developing a TV persona or media presence, attracting and amassing larger audiences or “memberships.” Some seem to focus on the ego-driven accumulation of impressive buildings or other material assets that become symbols of prosperity, wealth, authority and power — that is, they are perhaps building monuments to themselves. None of these accomplishments have anything to do with true spirituality, with establishing your own direct connection to the divine power. Achieving true spirituality requires that you draw your own conclusions, that your conclusions never result from the will of others. Practicing Sahaja — harnessing the power of the subtle energy system — can only work for you if its practice never crosses your free will. The practice of Sahaja never forces you to decide one way or the other, choose one method over the other. From the first day you attend an Introductory Sahaja meditation program, you’re asked to affirm: “I am my own master.” This means that you’re taking full control of your spiritual journey in life, whether you practice Sahaja, any other form of spirituality, follow a particular religious creed, or some combination. The choice is yours and yours alone. We do, however, strongly recommend that you never mix Sahaja with other forms of Kundalini yoga (any other forms of physical yoga, such as stretching or breathing exercises, are fine to combine with Sahaja). And we don’t recommend mixing Sahaja with other forms of meditation during the same timeframe as this is likely to interfere with the results you’ll see from Sahaja and make it difficult for you to evaluate what works for you and what doesn’t. Sahaja practitioners come from all backgrounds and faiths. They introspect, analyze how they’re progressing and make their own choices. Many continue to practice the faiths they’ve followed for years, perhaps even since childhood, while they give Sahaja a try. Some continue with a combination approach for long periods of time. Others seek out Sahaja because they feel that they’ve been let down by their chosen religion. Still others decide that Sahaja works for them and decide to integrate advanced spiritual aspects of the Sahaja practice into their lives. Are you progressively improving your character and personality every day, week, month, year? Is your intuition improving? Are you discovering the depths of your own inner subtler self? Are you completely at peace with yourself? Is your health and well-being improving? In the end, it’s far more important for you to be able to answer these questions than to engage in debating spirituality versus religion. If you so choose, Sahaja can become a complete spiritual practice. Meditation becomes a state you may fall into every day and yoga (“union”) is a state of higher consciousness that you achieve each time you meditate. You become a more spiritual person over time. Sahaja has no conflict with the subtler and formless power of the divine that may be part of — or the essence of — any particular religion. If you’re just looking for stress relief and other health and well-being improvements, Sahaja can certainly help you achieve that. But if you’re looking for a complete, deep spiritual experience, you may find that you need look no further than Sahaja.